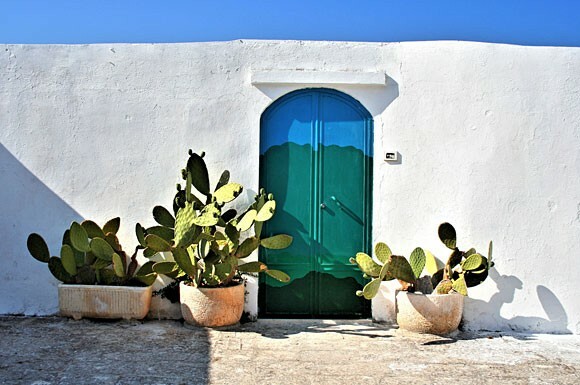 In the heart of Apulia, the Itria valley, the valley of the trulli, is a charming blend of rolling hills intertwined with fertile valleys, populated by dozens of trulli and farmsteads, the fields bordered by dry stone walls – one of the most beautiful landscapes in Apulia or anywhere in Italy. 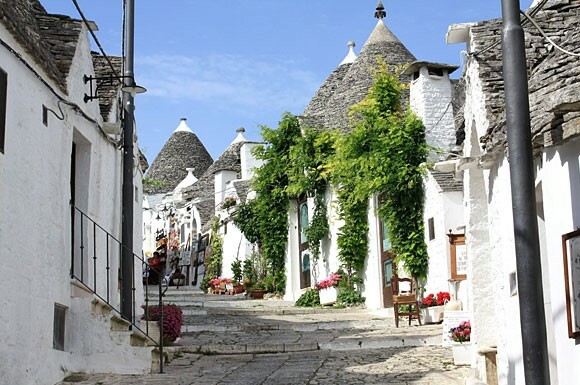 A unique place where towns such as Alberobello, Martina Franca, Locorotondo, Cisternino, and Ostuni provide dramatic images, evoking the true essence of this wonderful region. 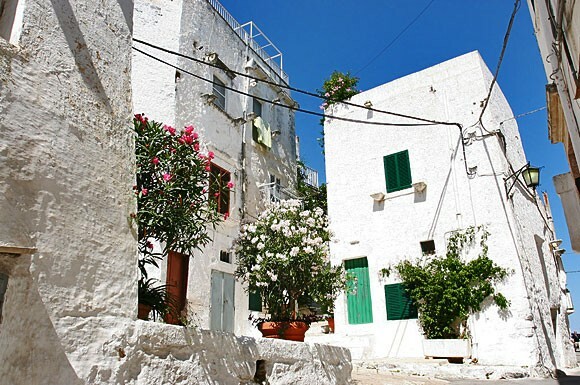 In the old city centres, whitewashed houses stand side by side with Baroque palaces sporting noble family friezes, hidden courtyards are dotted around a labyrinth of flagstone alleyways which take you back into the mists of time. 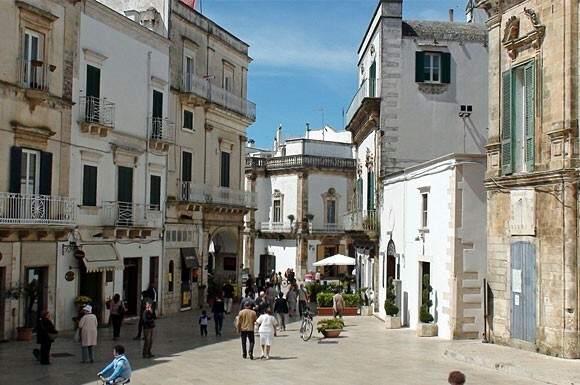 Straddling the border between the three provinces of Bari, Brindisi and Taranto, the Itria Valley is an ideal place for the discerning beach-lover, being within easy reach both of the long sandy rocky shores of the Adriatic to the north, and of the crystalline waters of the Ionian to the south. 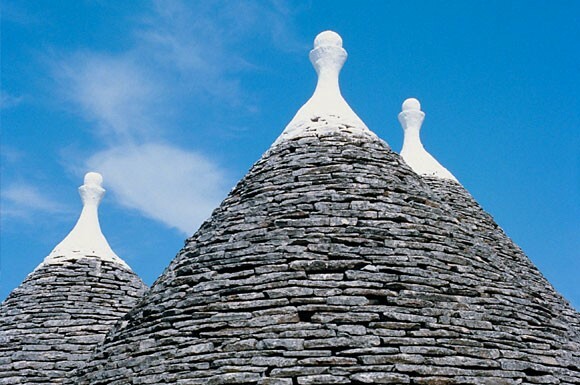 Alberobello is home to the famous whitewashed “trullo” houses, with their conical roofs made up of limestone slabs (the so-called “chiancarelle“). 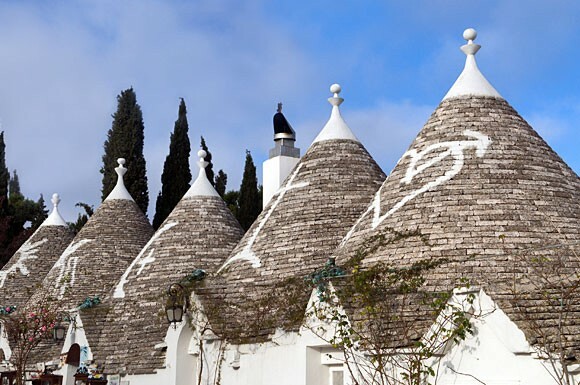 Over 1000 trulli are packed together to form the old city centre, earning Alberobello the title of “Capital of the Trulli”, recognised as a UNESCO World Heritage Site since 1996. 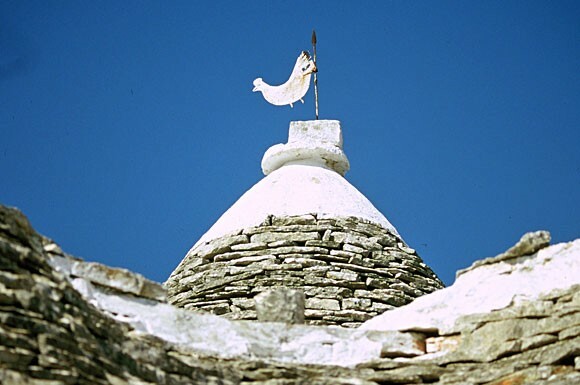 Just down the road from Alberobello is Locorotondo, a town built on a perfectly circular plan (from which it takes its name: round place) sitting proudly on top of a hill. 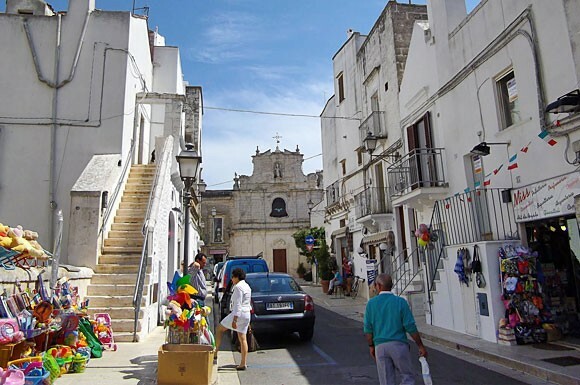 Locorotondo has hardly been affected by the passage of time – its concentric streets, its tall thin houses with their overhanging roofs and its Baroque buildings are surrounded by intact city walls. This outstanding city dates back to medieval times, and also owes its fame to its wines, including the Locorotondo Bianco Doc, and the even better Locorotondo Vigneti in Tallinajo. 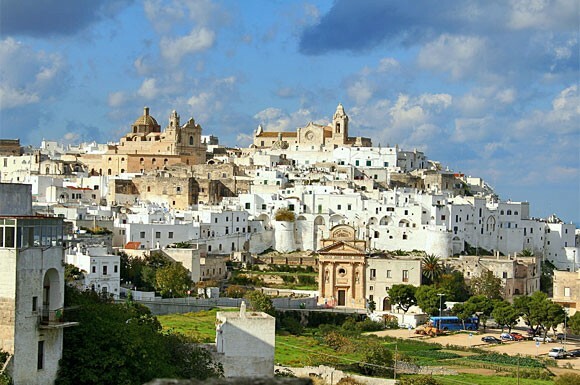 We recommend: spectacular views of Locorotondo’s round shape can be enjoyed from the road as you drive from Martina Franca towards Locorotondo. 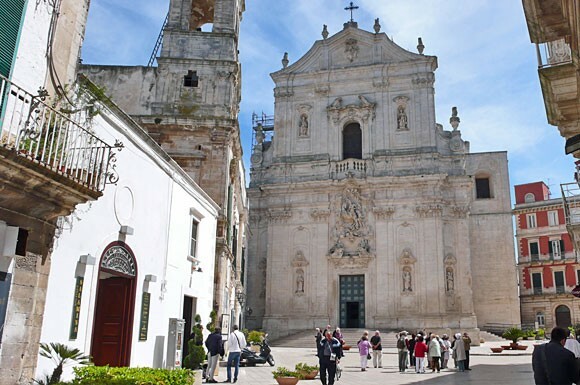 Just 6 km away is Martina Franca. Once a centre of nobles and brigands alike, Martina Franca is one of the most interesting cities in Apulia for a variety of reasons – its beautiful natural setting, its great food, which includes exquisite meats and excellent capocollo (a very tasty mature pork salami), its distinctive Late Baroque architecture, and the international appeal of the Itria Valley Festival, with its great opera season. 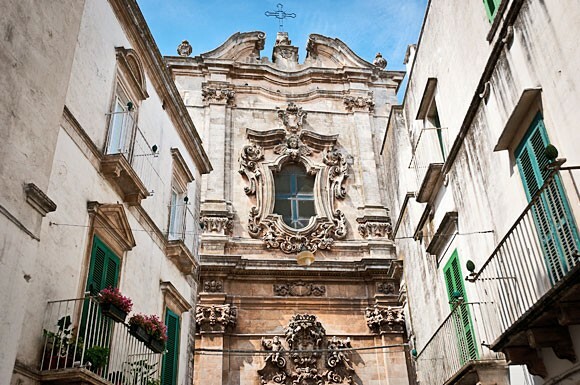 The city was founded in the late 13th century on the site of an ancient Roman castrum. 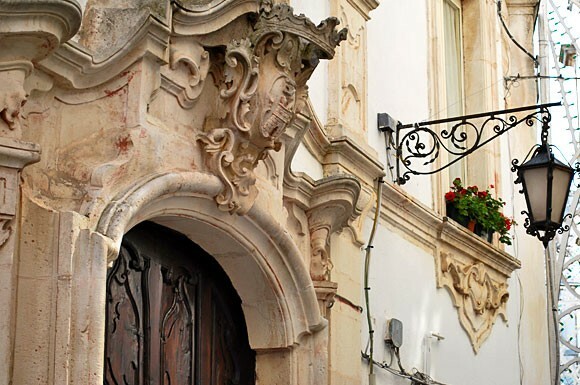 In the late 17th and early 18th century, Martina Franca came to the fore as a refuge for local artists, writers and scientists. 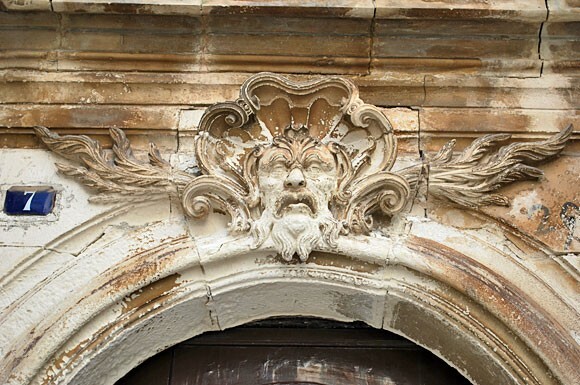 One clear sign of this period of great ferment is the Duke’s Palace (now the Town Hall) which marked the beginnings of Martina Franca Baroque, an architectural and decorative style which is the most profound expression of the city’s culture. 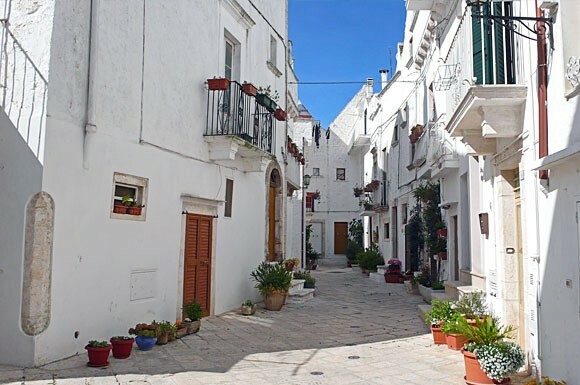 A more rural atmosphere can be enjoyed in Cisternino, almost an Oriental village, with its whitewashed houses, hidden courtyards and a maze of pretty little alleyways. 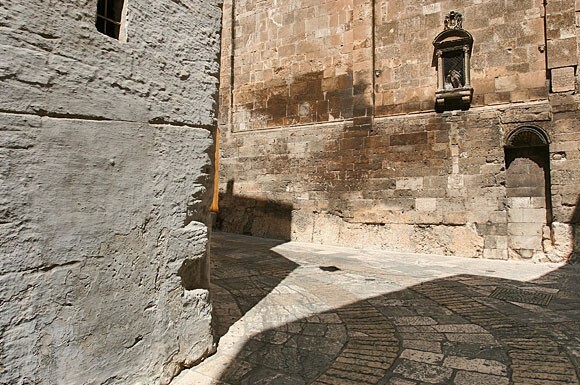 The old town’s biggest square is where the Pietre che Cantano (Singing Stones) association holds a fascinating contemporary music festival. 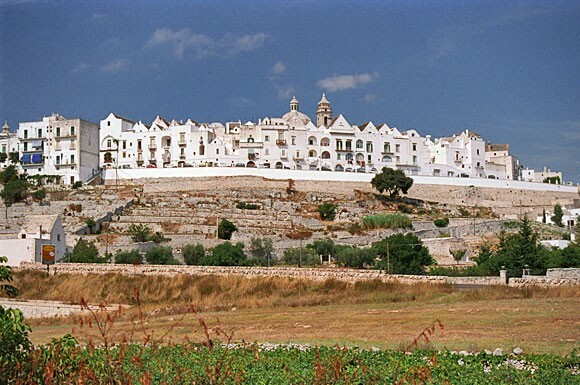 Below Cisternino runs a long valley, dotted with trulli and farmsteads, set in fragrant oak woods. 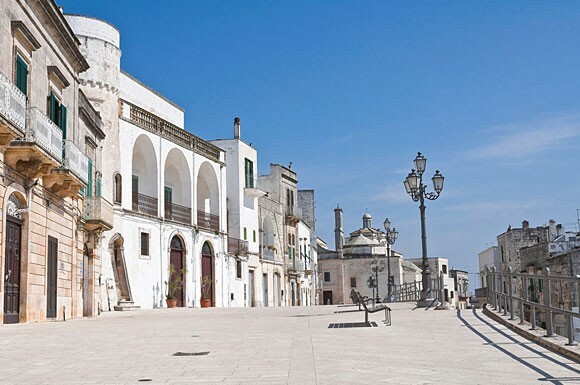 Slightly further afield, just a few miles from the sea, with its breathtaking panoramic views over the Adriatic and the grey-green carpet of the olive groves, lies the “white city” of Ostuni, built on three hills. 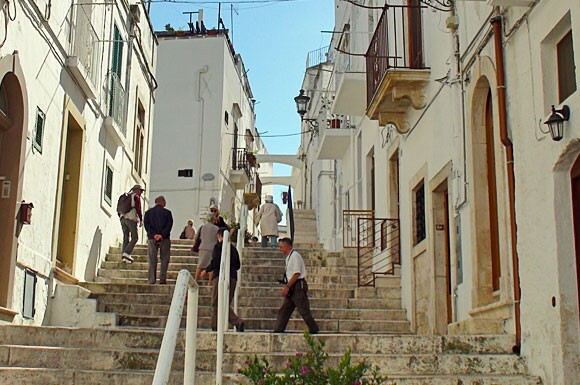 Ostuni has been occupied over the centuries first by Greeks, Longobards and Normans, and then by the French, Isabella of Aragon and even the Venetians. 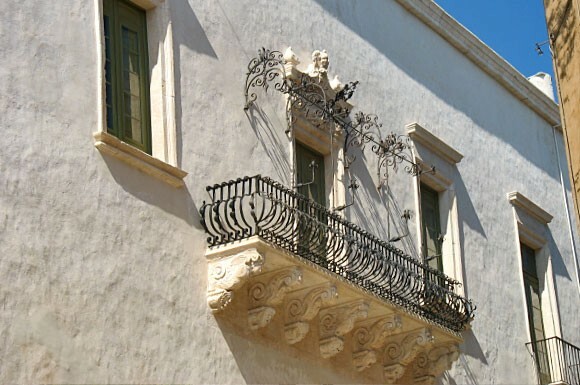 Its late 15th century turreted walls enclose the old town, with its charming warren of alleyways, giving the impression of delicate white lacework – stone houses, Baroque buildings big and small, connected by stairways, alleyways and craft workshops. 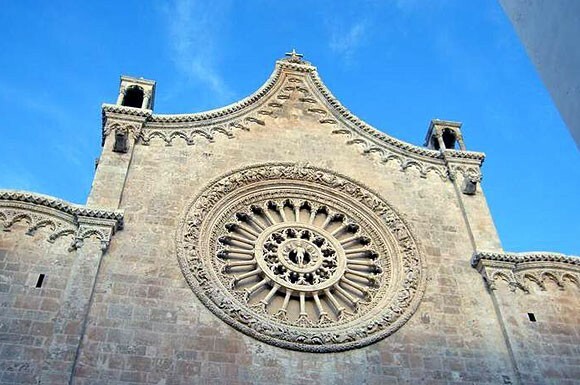 Right at the top, after a gentle and fascinating walk, the 15th century Romanesque Gothic cathedral, dominated by an unusual curved tympanum and an outstanding 24 spoke rose window. We recommend admiring Ostuni by night from the belvedere located 200 metres south of the statue of the city’s patron St. Orontius (at the centre of Sant’Oronzo square, the meeting place of the citizens), where you can enjoy the golden threads of the city lights, as your nose enjoys a truly memorable cocktail of maquis vegetation wafting in on the sea breeze, creating a feeling of sheer magic. 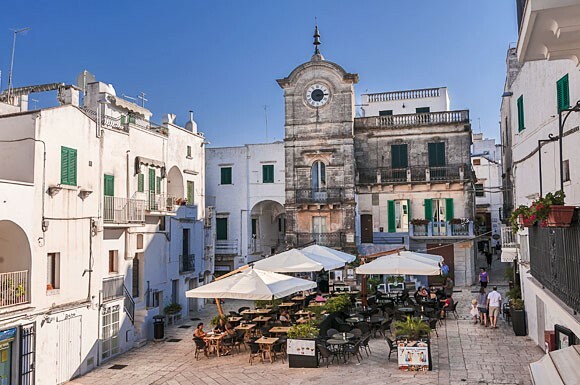 Just like Cisternino and Martina Franca, Ostuni’s nightlife provides great opportunities for revellers, with a whole host of inns, cafés, wine bars and theme pubs. There are plenty of feast days and country festivals, with performances by bands, illuminations and fireworks, enabling the visitor to discover the rustic and traditional soul of these towns.